Noctua's latest 60mm fan is a dedicated 5V fan that features OmniJoin Adaptor Set, Smooth Commutation Drive technology, modular cabling and a massive six years manufacturer's warranty. 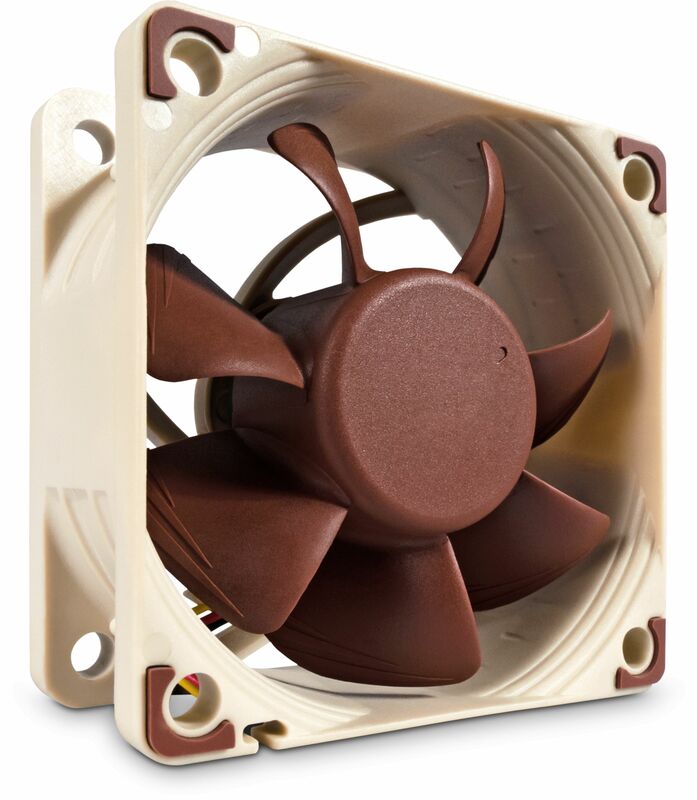 Featuring advanced aerodynamic design measures such as Flow Acceleration Channels and Noctua's AAO frame, the NF-A6x25 5V is a dedicated 5V version of Noctua's highly optimised, premium-quality quiet 60x25mm fan. Smooth Commutation Drive technology and Noctua's reference-class SSO2 bearings guarantee superb running smoothness and excellent long-term stability. Topped off with modular cabling, the OmniJoin Adaptor Set and a 6-year manufacturer's warranty, the NF-A6x25 5V is a premium choice for demanding 5V applications. Many devices, such as network or storage solutions, use 5 volt 60mm fans. With the same operating voltage and the included OmniJoin adaptor set that makes it compatible with proprietary fan headers, the NF-A6x25 5V is ideal for replacing noisy or broken 5V 60mm fans. 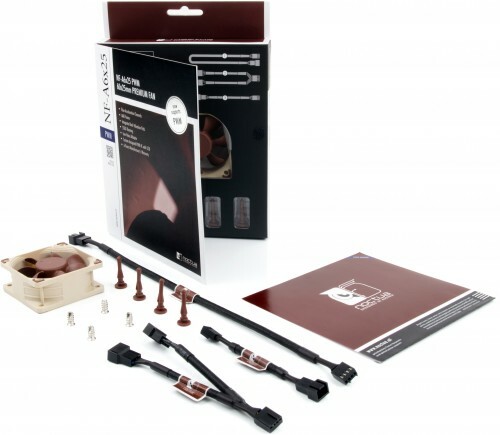 Many devices featuring 60mm fans use proprietary fan headers, so the NF-A6x25 5V comes with Noctua's OmniJoin Adaptor Set. Just cut the original fan's cable, fix it to the adaptor using the supplied 3M Scotchlok connectors and you can plug the NF-A6x25 5V to proprietary fan headers! PLEASE NOTE: Being a 5V fan, the NF-A6x25 5V cannot be run at 12V and will be damaged when used with typical 12V power sources such as PC motherboard fan headers.